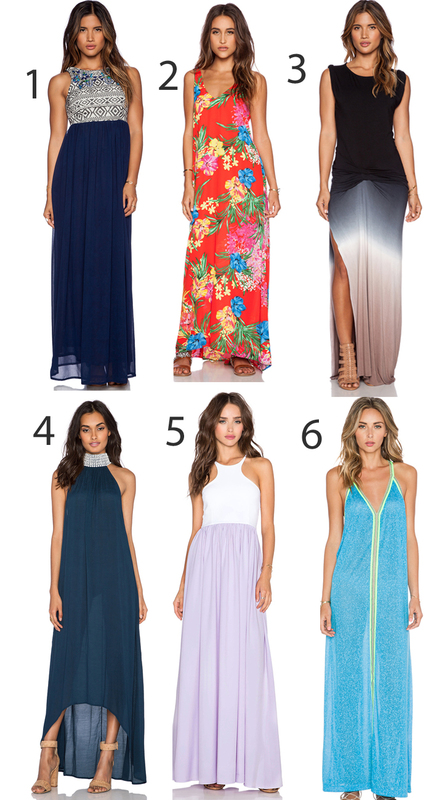 The maxi dress is my go to outfit all summer. Its so easy to throw on and looks so put together. And for me, I can get away with not having to wear maternity clothes as long as I stick to a loose fit, like the ones pictured above. The best part is I can wear them through most of the pregnancy. Number 4 is perfect for a night out or dinner party and although number 6 is meant to be a beach cover up, I'll probably throw it on over a long white slip and wear it everywhere! OMG already 6 months in ! I'd day maxi dresses work well, I have seen other bloggers work with them throughout their maternity and they always looked so polished.. and not constraint.